amazing things I have seen - I can often give a list of amazing places. However, yesterday I was reminded how special Alley Springs is to me. Rewind back 10 years ago - it was hot - we were camping - and my little Lesse was just barely walking. Our camping party (her dad, his nephew, me, and Lesse) had split up - they were going floating on the Current River, and Lesse and I would be adventuring around the area. Back then I was not much of traveler, I was really bad at directions, and I was kind of shy. However, I loaded Miss Lesse up in my Jeep and we went for a drive - and we happened up on Alley Springs and Mill. I have very few pictures of that day, but that day will be stamped in my heart forever. 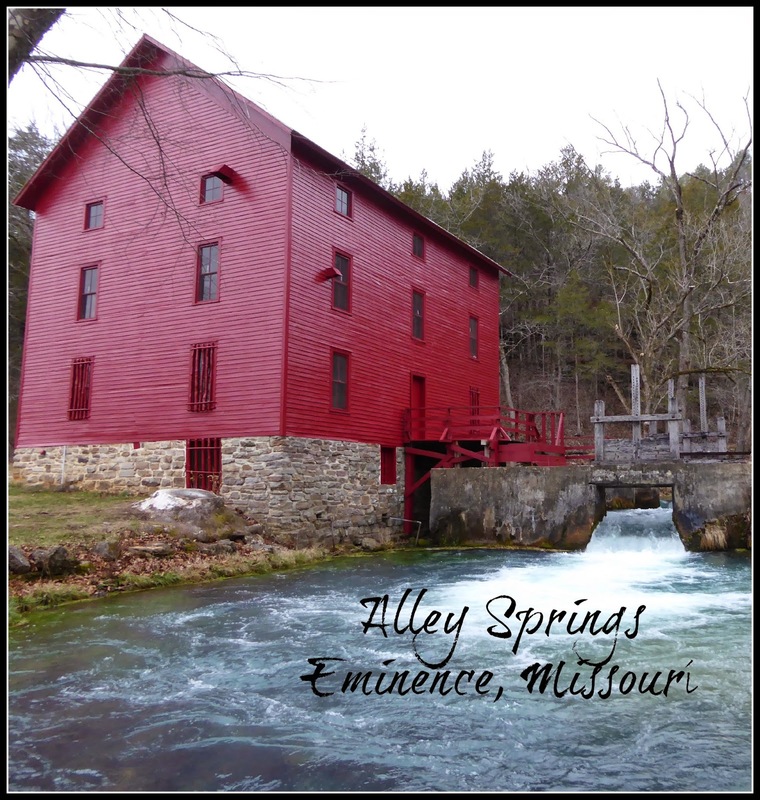 Since that special day in 2004, I have returned to Alley Springs every few years - often just to capture memories (I am better at taking pictures now), and to take the beauty of this hidden treasure. There is such peace when I stare down in the clear blue water, I feel so whimsical as I watch crisp clean water dance over the rocks, and I always wonder what it must have been like to live in Alley when it was in its grand - of course I am sure it was nothing like what I dream of it to be. 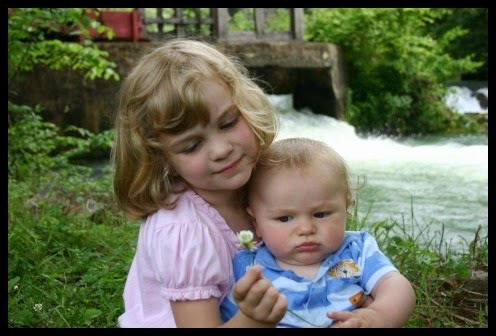 Lesse and D at Alley Springs - they have grown a bit. We found rockcicles! They are fun! The purest water I have seen! 81 million gallons a day?????? I love these guys - just a tad! The history of Alley Springs. Looking in the Mill - the Mill is open for visits during the summer. The old school house - which is also open for tours during the summer months. These photos were shot with my Panasonic ZS40 Camera - read here about the camera!